Mystery is extremely proud and jolly chuffed to announce our big win at the Marketing Design Awards (as mentioned in this week's issue of Marketing magazine) for our 'outstanding brand design' for bubble tea sensation, 'Bubbleology'. Up against the big boys of the industry and shortlisted against mega-brands the likes of Boots and Home Base, it was a nail-biting awards ceremony last week. 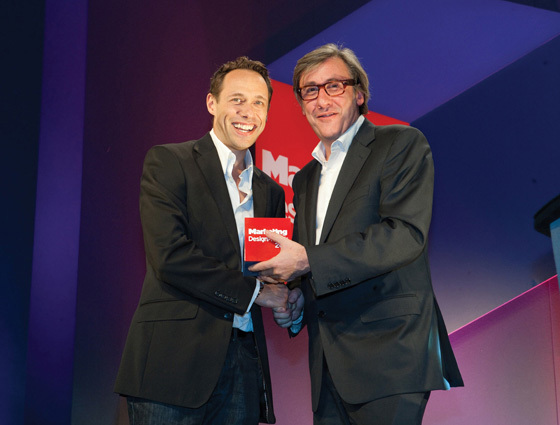 Presented by TV art critic / journalist / author, Andrew Graham-Dixon in the swish surroundings of Park Lane's Grosvenor House Hotel, the Mystery / Bubbleology team did what they could to settle their nerves and fuel their confidence (with champagne) before yelping (literally) with joy when it was announced that we had won the New Product Launch category. For those who are still in the dark about Bubbleology, it's an exciting new café concept serving bubble tea, a selection of delicious fruit flavoured iced teas, brewed fresh and shaken over ice like a (non-alcoholic) cocktail. With it's initial launch in Soho and second site at Harvey Nichols in Knightsbridge, the media buzz and social media activity has helped create a sensational launch for the brand. Inspired by the exacting process behind producing the perfect cup of bubble tea, Mystery conceived the name and defined the strategic brand vision to promote the fun nature of the product through a brand with a vibrant, kitsch and pseudo-scientific character. Mystery designed the brand identity, store concept, interior, signage, uniforms, marketing collateral etc. 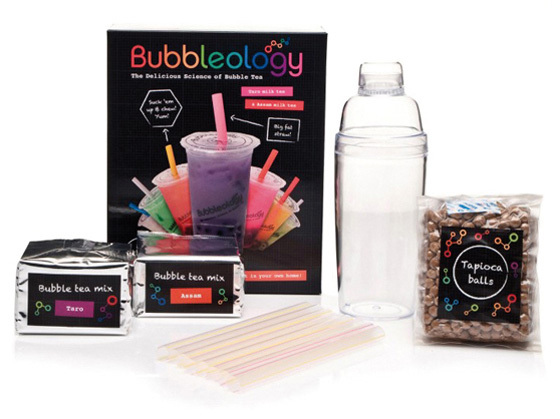 Check out the official Bubbleology website at: www.bubbleology.co.uk or get yourself down to Rupert St, Soho, or Harvey Nics where you can also pick up a Home Bubbleology Kit - the perfect Christmas present!